If you own a Phantom 3 series or a DJI Inspire 1 Quadcopter with 4k Video Camera with Controller you can now purchase crash insurance from DJI for brand new aircraft or those activated less than 48 hours previously. The DJI Care Protection Plan covers “damage to the aircraft, gimbal or camera due to dropping, squeezing or crashing caused by operator error or other accidents.” The repairs are free if the aircraft is sent to DJI within the period of validity. There are two plans DJI offers: One plan is valid for six months, the other is valid for one year. You cannot renew the service plan. There is no limit to the number of repairs up until the total amount of the repair fees exceed the coverage amount. It doesn’t matter if you are the original owner, the service plan is tied to the serial number of the aircraft. The service plan can be transferred along with the aircraft. Conditions which are not covered by the plan as well as other important issues are fully discussed in the DJI Care FAQ. This service plan covers damage to your DJI aircraft, gimbal or camera sustained during normal use. There are no deductibles. They call it an aircraft repair service, rather than an insurance policy. 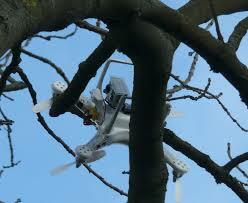 DJI Care is valid immediately after purchase when bought separately from the aircraft. When purchased with a new aircraft, DJI Care is valid from two days after aircraft shipment. If you are within an area of DJI Care coverage, DJI Pays shipping. DJI’s standard product warranty coverage is in addition to DJI Care. If the repair costs are covered by a standard product warranty, the remaining balance on your DJI Care Service Plan will not be affected. A DJI Care service plan will reduce repair costs under the warranty.